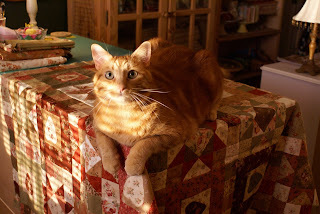 Ted (and me) in my sewing room at 6:00 am this morning. OH...I'm in love with kitty....spotted him in blogrolls and had to stop by! !